Need help shopping for wine? 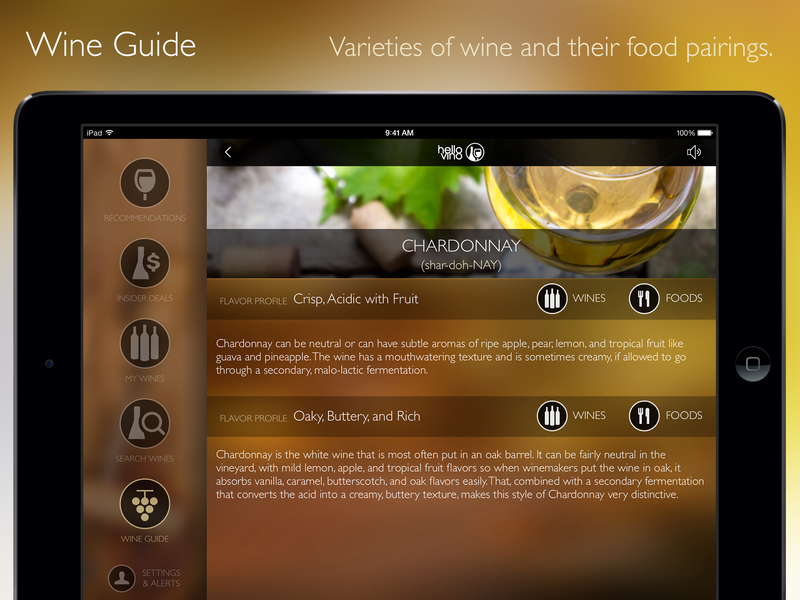 Most wine apps are designed for uber enthusiasts and wine snobs. 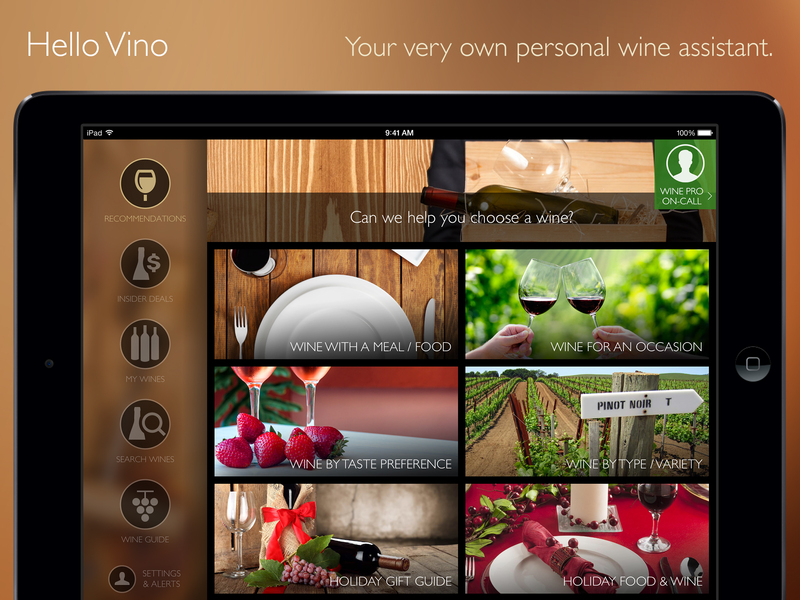 Hello Vino is a free app for the rest of us. It's like having a wine expert with you whenever you shop for wine. Download high-resolution images from our digital press kit. 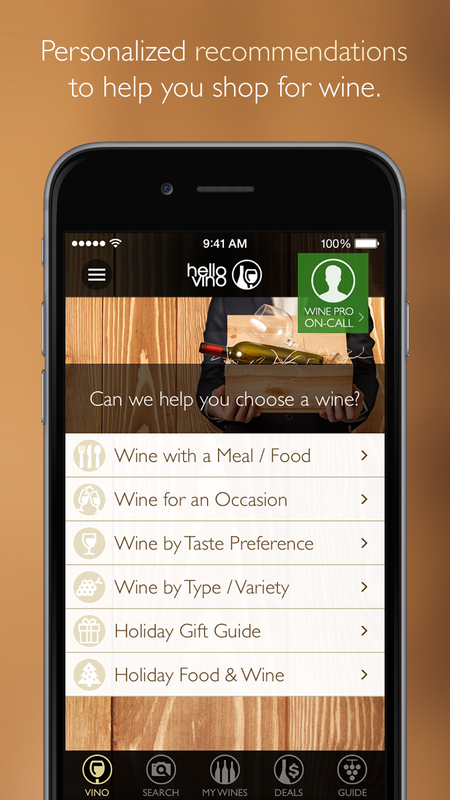 The free Hello Vino app helps the everyday wine shopper with their purchases. 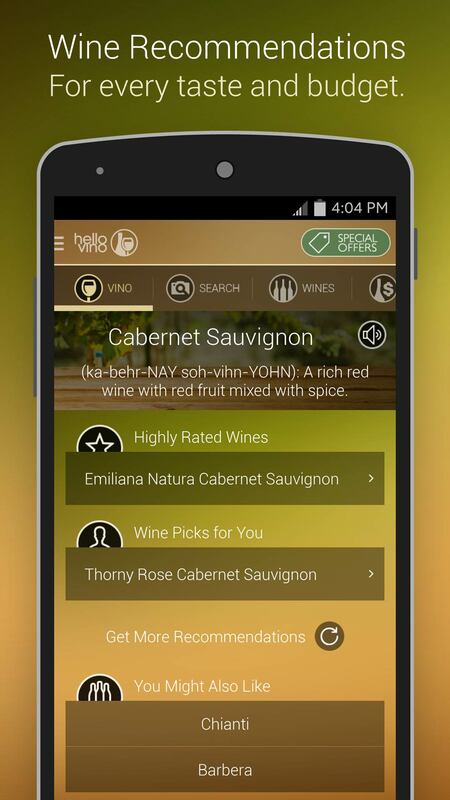 The app provides recommendations for every occasion - from the best wine to pair with food, wine for holidays or gifts, and also suggestions based on your personal taste preferences. Shopping for wine has never been easier. 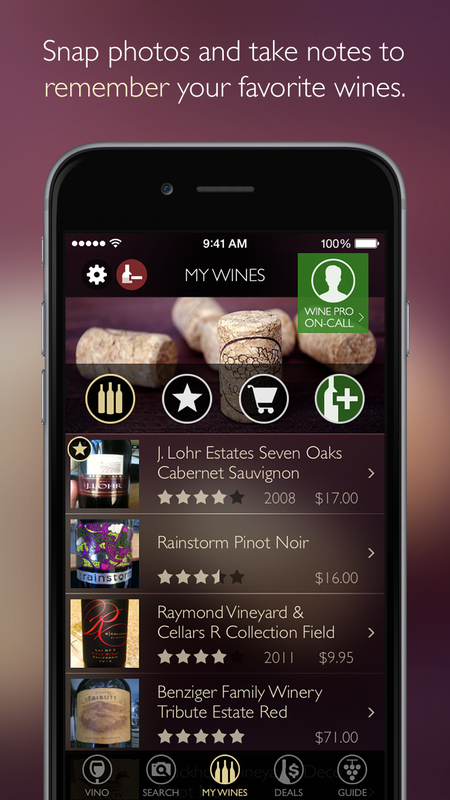 A wine app designed to help you BEFORE you buy. We've all been there - Overwhelmed in the wine aisle with hundreds of bottles, or staring at an intimidating restaurant wine list. 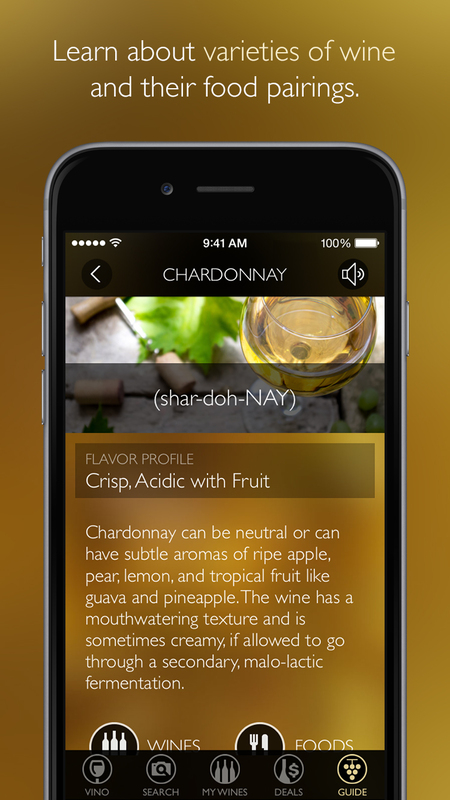 Simply tell the app what you're eating, or provide some general taste preferences, and Hello Vino will recommend the perfect bottle. Now you have a good excuse to judge a wine by its label. Snap a pic of the wine label, then Hello Vino will tell you all about the wine (tasting notes, ratings, food pairings, etc.). 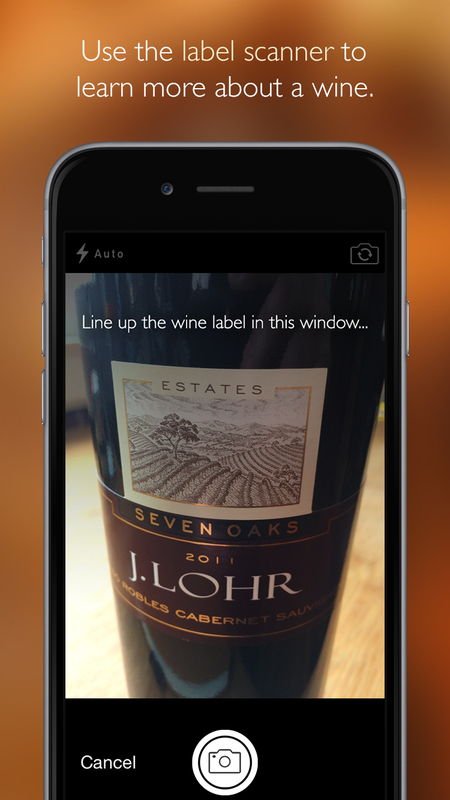 Within seconds, the app is able to identify millions of wines, just by snapping a photo of the label. 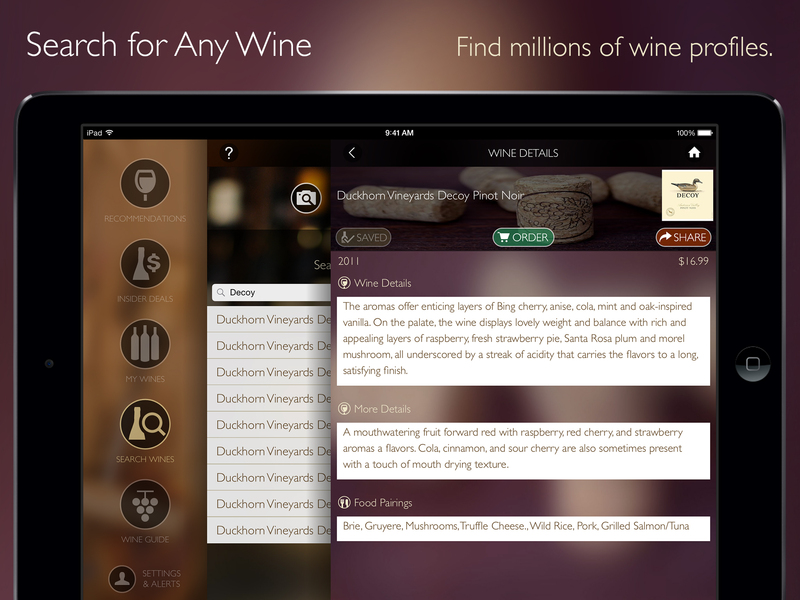 Find millions of wine profiles. Curious about a particular bottle of vino? Search for all the details in the "Search" section. 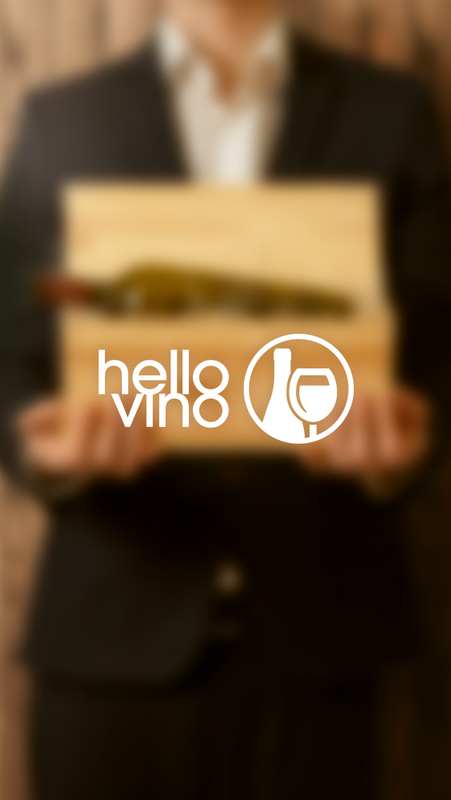 Sometimes referred to as the "Google for wine", the Hello Vino app will give you all the goods on that bottle your friend brought over for dinner. Hello Vino has a photographic memory. 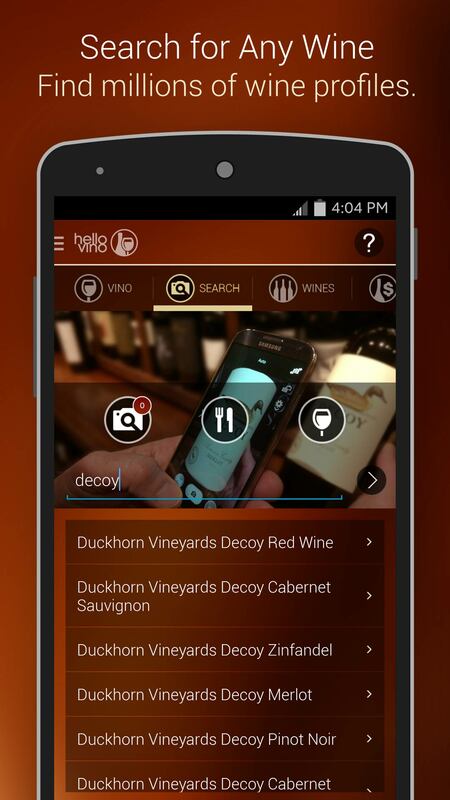 Simply snap a pic and take a quick note to remember all of your wine purchases. You can also give the wine a personal rating, then share it with your friends on Facebook & Twitter (or via email). Wine varieties, pronunciations, recommendations and food pairings. 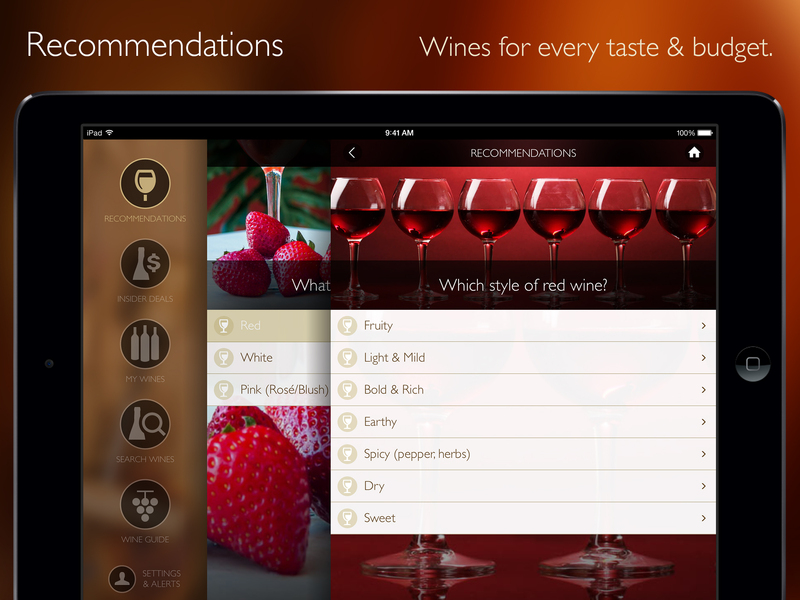 The app currently recommends a wine based on your meals, occasions and taste preferences. 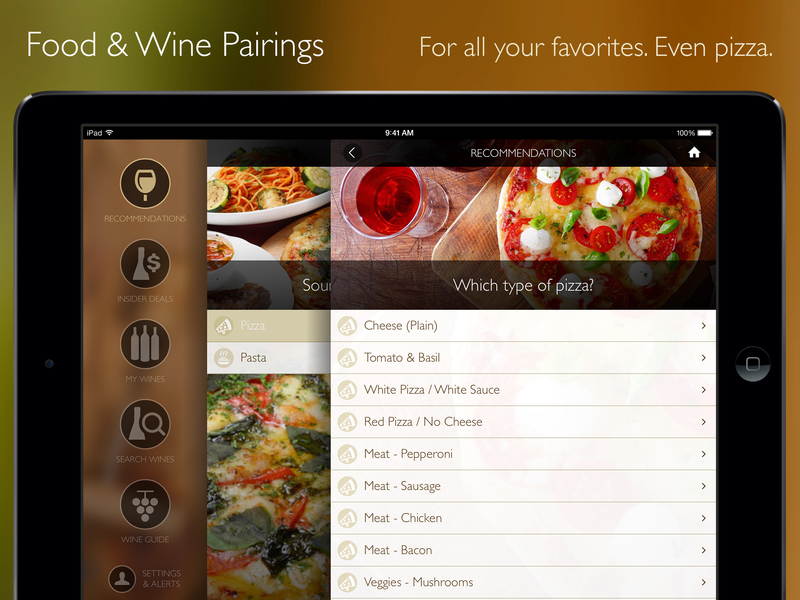 Now, by popular demand (we've literally received hundreds of requests), we're allowing you to use the app "in reverse" by suggesting meals and selections based on the wine you already have. For example, if you already have a nice bottle of Cabernet Sauvignon, the app will suggest types of foods that pair well (with recipes powered by Yummly!). Also available for your iPad. For more information, please contact hello@hellovino.com or 415-598-8466.